We hear plenty of talk about breaking down organizational silos. And it’s a worthwhile goal. After all, your customers shouldn’t suffer a poor experience simply because of your organizational structure. But to understand how to more meaningfully align to their customers, companies need to first create a customer journey map. As Lewnes shared a year ago, the term customer experience (CX) will be trivial in the coming years because every smart company will begin to think customer first. In fact, CX consulting firm Walker declared that customer experience will overtake price and product quality as the key brand differentiator by 2020. The chart below shows the relative importance of three key elements to business strategy both today and in 2020 per Walker’s survey. By viewing the customer experience as a strategic initiative, you too can position your company for future success. But, while many companies grasp the strategic importance of CX, they struggle with how to effectively deliver an indispensable one. Enter the customer journey map, a core tool in your overall CX strategy. The customer journey map is a tool to visualize the experience of interacting with your brand from the customer’s point of view. This map is critical because it forces you to look at how your customers actually experience your brand versus how you think they do. By better understanding your customers, you can better deliver on their expectations. Understanding and empathizing with customers lays the groundwork for meaningful interactions and successful business outcomes. It also provides a tangible framework for CX initiatives. As you study all phases of a customer’s journey with your brand, you’ll be able to isolate where you aren’t meeting expectations or where you are outright alienating prospects and customers. CEB asked thousands of senior executives at companies around the world to describe the B2B purchase process in a single word. The responses included “hard,” “awful,” “painful,” “frustrating,” and “minefield.” In many cases, these horrible processes are the result of disjointed moments in time that lead to an inconsistent and frustrating customer experience. By addressing these shortcomings, you can ensure better experiences that empower your prospects and customers to interact with and purchase from your company as they desire. That can translate into faster sales cycles, and more satisfied, loyal customers who make follow-on purchases. 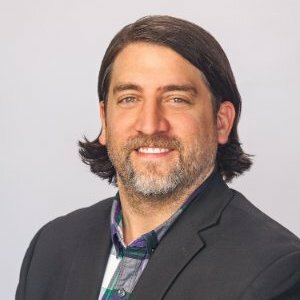 Though CEB is speaking specifically about the buying stages, the same philosophy holds true across the entire customer experience. By understanding the customer experience – both as it is and the ideal state – you can create, adjust, and enhance touch points to ensure the most effective, efficient buying and service process. As a result, your customers will be better able to achieve their goals, from their pre-purchase through their post-purchase experience, with your company. Chances are, if you don’t understand the customer journey, you don’t know your customers well enough. If that’s the case, how can you be certain you’re even engaging the right people in the right companies with the right messages and offers? In an age when hyper-personalization reigns supreme, a shallow understanding of your customers doesn’t suffice. By creating a customer journey map, you will gain an invaluable and essential view of your potential and existing customers. This more complete picture positions you to realize a better return on your marketing investments, and equips everyone in your company to better engage with prospects and customers. A 2018 customer journey mapping report shows that 67% of customer experience professionals surveyed across the globe are using, or have used, customer journey mapping. Moreover, almost 90% of those using customer journey mapping said their program is delivering a positive impact, the most common one being an increase in customer satisfaction. Lower churn, fewer customer complaints, and higher NPS were also among the top impacts. 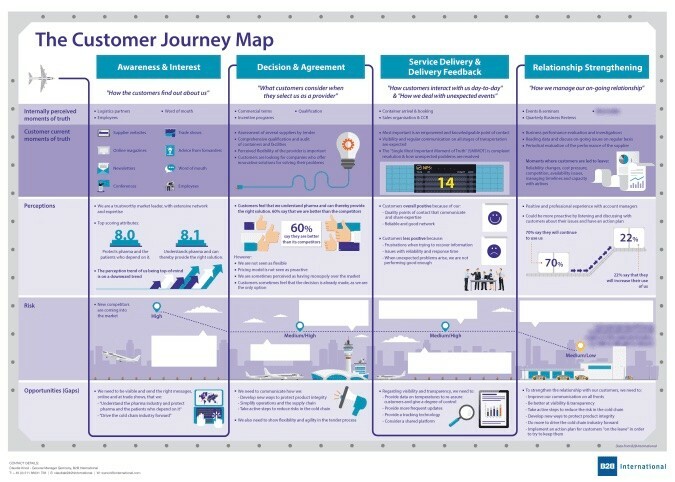 CEB has found that conventional journey maps usually cover four main buyer steps: awareness, consideration, preference, and purchase. CEB calls this the “customer purchase-from-us journey” because it is grounded in a biased view that the buyer will purchase from the company. Instead, CEB advises that companies think of the typical purchase journey across three phases: early, middle, and late. This approach forces you to understand the experience from the time the buyer is figuring out whether their issue needs to be solved and is then considering different ways to solve it. As CEB says, “Your goal is to uncover struggles that customers would have with any supplier,” not just your company. Just remember: The customer journey should extend to include the experience with your company post-purchase. At the same time, don’t try to create a customer journey map with input from one or just a few customers. You need input from enough sources so you can detect patterns. These patterns will guide your understanding of where customers are enjoying the least amount of friction in the journey – and suffering through the most. Today’s B2B buyers tend to purchase in teams averaging 6.8 participants according to CEB. But they aren’t all involved at the same time. It’s critical to account for each persona’s engagement during the journey, making sure you clearly understand who is involved and what they are doing when they are on the scene. Whether you present it as a single customer journey featuring different players throughout, or you create unique journey maps for each stakeholder, you need to account for the various personas. If you don’t get this granular, your customer journey map will end up being a superficial tool that provides little value. To understand the customer experience from the outside in, you need to talk to your customers. If you’ve already developed buyer personas, start with those. Done well, these should capture many of the details you want to translate into a customer journey map. However, if your personas are lightweight, you’ll need to conduct more research to fully understand the customer experience from end to end. Remember to ask questions that help elicit responses providing a complete view of the journey, whether your company is involved or not. In other words, understand each step from the customer’s point of view, starting with the process before your company even enters their mind. While you can interview a combination of prospects and customers, be sure you are talking to people who fit your ideal customer profile so irrelevant input doesn’t warp your view. Though it might seem counterintuitive, you also need to understand your internal process and employee perspective as they relate to the customer journey. After all, the only way to fully capture the true experience is to document it from every angle. Your internal research will play a major role as you identify opportunities to improve the customer journey experience. Start with the end in mind: Whose journey are you mapping and why? While you don’t want to bias your view of the customer journey, you do want to be clear about why you’re creating a customer journey map. Most organizations use them to identify gaps and friction in the experience for their buyer personas so that they can try to eliminate or reduce these. Customer journey maps can also guide departments across the organization on why and how they should break down their silos. Capturing the experience from the customer’s perspective is incredibly important – and valuable. You want to understand the journey through their eyes, but across the touch points where they interact with your company (and your competitors and any other relevant third parties). You’ll likely uncover many insights simply through the process of documenting the journey as the customer describes it. Be sure to understand the needs and goals of every buyer stakeholder (i.e., persona) at each point, and the specific actions they take. Just as it’s critical to understand the full journey, it’s important to pinpoint critical moments that often result in make-or-break decisions for your customers (some call these “moments of truth”). In other words, figure out the moments that lead to your customers walking away and the ones that persuade them to stay the course. Keep in mind that people making business decisions and purchases experience emotions during the process. Who wouldn’t feel a bit of trepidation and anxiety when spending thousands – sometimes millions – of someone’s else’s dollars? No wonder CEB research shows second-guessing occurs in more than 40% of completed B2B purchases. You need to account for customers’ logic and emotions in your journey maps to develop an accurate portrayal of their experience. Including customer quotes can help bring the emotional side of the journey to life. Translate your findings into a visual representation while striking a careful balance. Without enough detail, a journey map is not useful. However, too much detail can overwhelm people and make it hard to understand where to focus. Consider developing a high-level version of the map that provides an overview at a glance, along with with a deeper-dive version that provides enough detail for people across the organization to take action. Mitch Belsley, a CX consultant and Chief Experience Officer, recommends simplifying these journeys into an experience storyboard that everyone can understand. He describes it as an easy-to-read CliffsNotes version of the customer journey you want your customers to experience. While the map is meant to express the experience from the customer’s point of view, be sure to flag areas that present an opportunity for your company to change the experience for the better. Ideally, these get converted into action items assigned to the appropriate departments and people. Once it’s ready, socialize the journey map throughout your organization. Perhaps you present it to your executive team and a select set of customers before rolling it out to the whole company. You should meet with key stakeholders from all departments to determine how to activate the journey map findings through process changes. As part of identifying opportunities to improve the customer experience, outline the potential impact of each improvement. By associating these impacts with business KPIs and metrics, everyone can more easily determine which changes to prioritize. Another reason to align customer journey improvements to business metrics is to help prove the value of a CX focus. If your company can, for example, increase contract renewals and customer satisfaction ratings while reducing manual steps in the contract renewal process, it’s a win-win for customers and the business. You want to master the customer experience at every touch point. We make it easier with your free piece of real estate on the world's largest b2b network: your LinkedIn Page. You can share a range of content on your LinkedIn Page, making it an effective way to communicate with your target audience where they’re already engaged in a business mindset. Remember: You want to deliver an indispensable experience even before someone becomes your customer. Using the Website Demographics analytics tool, you can understand the types of companies and LinkedIn members engaging with your website. Based on this understanding, you can shape your content strategy and update your website UX to guide prospects through a personalized experience aligned with each visitor’s industry, role, or other relevant characteristics. Similarly, you can use Sponsored InMail to send personalized messages directly to prospects and customers who are LinkedIn members. Sponsored InMail messages are only delivered when members are active on LinkedIn, and one out of every two members opens a Sponsored InMail. So you can be confident that your helpful content and suggestions will be seen by the specific segments you’re trying to reach. 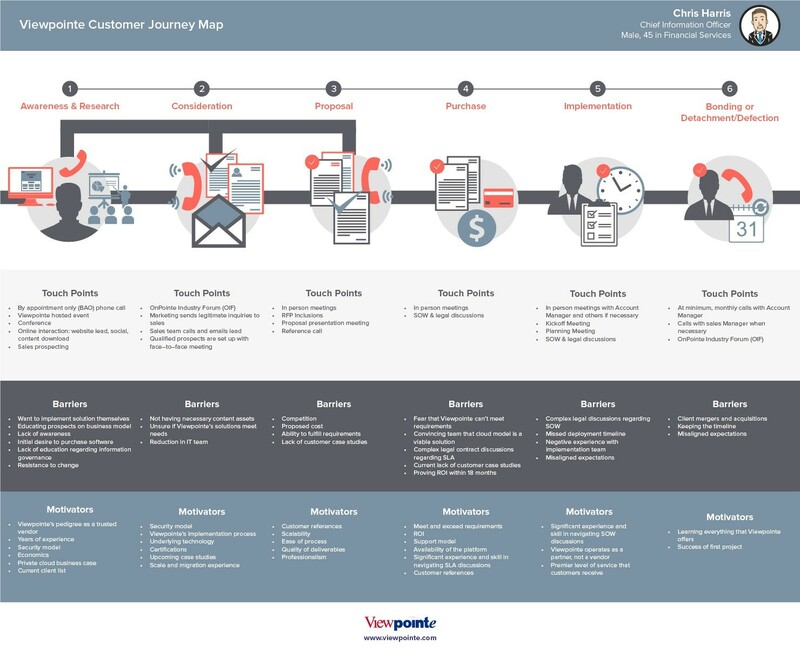 Though your customer journey maps represent the overall journey, you want to deliver the best possible experience to each individual customer. One tool that can help is Sales Navigator, with its Notes & Tags feature. Using this, you can keep track of each customer’s objectives and pain points, positioning you to seamlessly facilitate their journey to purchase and renewal. Once they purchase from you, the most meaningful part of the experience begins for your customers. Your focus at that point should be helping them use your product or service effectively and successfully. With LinkedIn Elevate, your employees can easily share helpful how-to and product announcement information with their social networks on LinkedIn, Twitter, Facebook, and Weibo (to name a few). With customer experience the ultimate differentiator, it’s wise to get serious about customer journey mapping. Dedicate time and effort to creating your customer journey maps and improving the experience for your customers, and you and your customers will enjoy the payoff. While they revel in a more consistent, seamless experience with your company, you will see better business outcomes. To take the next steps in delivering an indispensable customer experience, visit The Art of Winning hub.